Supposedly the closest to final Windows 7 version has hit the torrents, I decided I’d give it a try on my N10J. Because I am a very cautious Power User I figured it would be best to try out the new OS in a Virtual Machine software before doing a real install to my pc. I tried using VMware at first but I ran into a bunch of problems. I had trouble installing VMtools, which installs some basic drivers to get the most out of the virtualization software. After an hour or so of fighting with VMware I saw that someone had some luck with using a program called VirtualBox. VirtualBox worked great for me right out of the… box. VB had a Windows 7 config file all ready and set to go. I loaded up the Win7 ISO and was installing in no time. It took about 20 minutes to get everything set up and running and maybe another minute or so to install the VirtualBox Guest Additions, which is basically the same as the VMware VMtools. Oh and by the way VirtualBox is free and VMware is not. 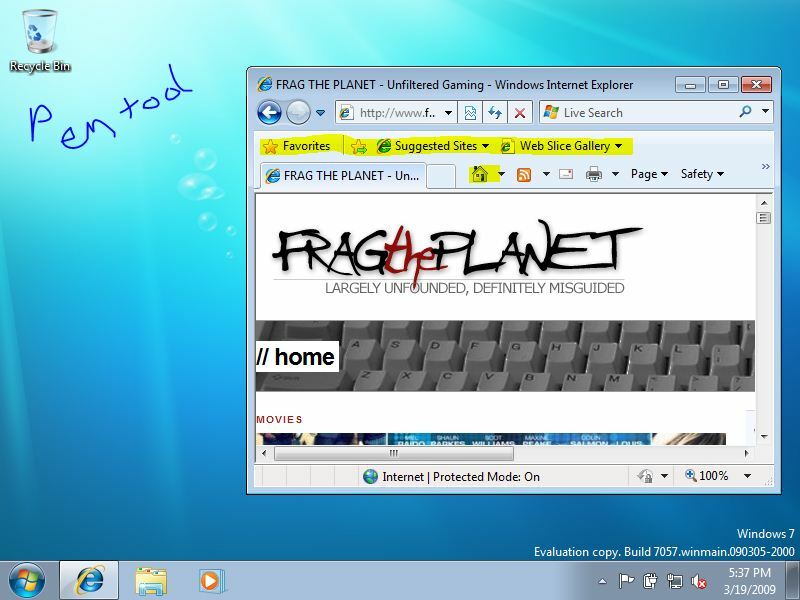 Here is a screenshot of my Windows 7 running in VirtualBox on my Asus N10J-A2. VirtualBox also comes with something called VRDP, basically it allows you to connect to your Virtual OS via Windows Remote Desktop Protocol. It uses your host machines ip address and the only configuring I had to do to get it running was to turn it on. 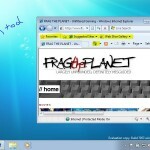 So for now I’m just gonna play around with Windows 7 in VirtualBox and see how I like it. I do have Vista and XP setup on this Asus N10J-A2 in a dual boot configuration, but I don’t use Vista at all so hopefully I can upgrade from Vista to 7 without any hassles. But that is another day. Which version of windows did you install? Will 64 bit work on Asus N10J series netbooks. I installed the Windows 7 32bit Beta… you might be able to install 64bit, but I wouldn’t. It depends on the processor, but the N10J really isn’t a powerhouse of a machine so there is no need to go 64bit.